A 5-minute drive southwest from downtown Austin, the small, active and tightly-knit Rollingwood neighborhood oozes small-town comfort and warmth despite being bordered by the bustling Bee Cave Lane. The suburb is mostly residential, meaning that the restaurants and business in the area are predominately local establishments. Best of all, it’s only short walk to Zilker Park! The area is charming as it is prestigious – with sharp landscaping and 1950’s-style homes. However, most of the houses have been extensively renovated on the inside to have luxury modern conveniences. 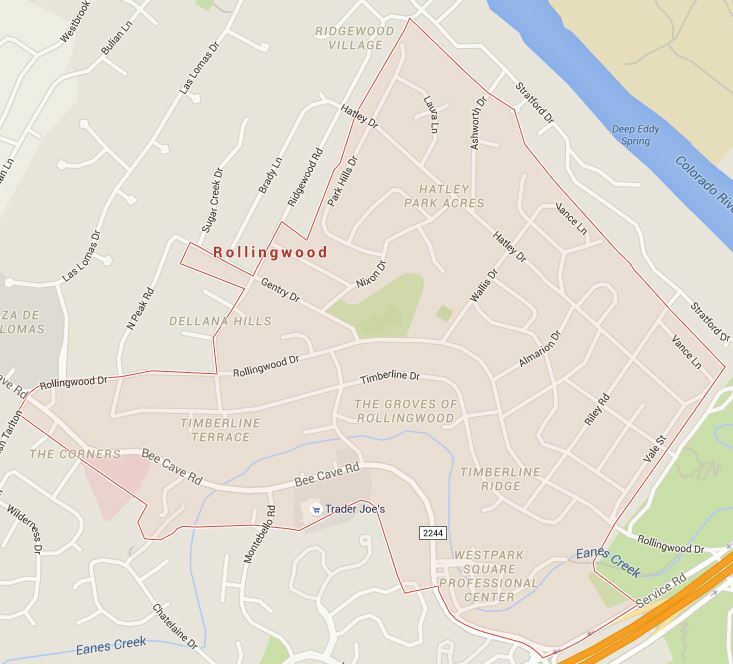 Rollingwood really makes use of it’s 0.7 square mile radius. With downtown Austin only a short drive away, the residents can get all of the “big city benefits” while still retaining small-town appeal. Let me tell you about Villarina’s. You may want to be sitting down. It’s a take n’ bake joint over on Bee Caves Rd, and I’m officially a fan. Villarina’s offers authentic New-York-style Italian food, and it comes frozen – so I can take home and cook a “Italian Grandma approved” meal. Delicious. It’s the real deal! You can take home some pizza dough and prepare your favorite pie. Some of the very best pizza crust I’ve ever tasted. And their meatballs… don’t get me started. Make sure you defrost in the fridge to keep that flavor locked in there!